Feb 08 by Mark Gregston. When it comes to speaking less and listening more… sometimes parents need a little practice! Hi, I’m Mark Gregston … with Parenting Today’s Teens. The ground rules are simple: Everyone must answer. And dessert isn’t served until each person gives at least five important things. If you need to motivate the kids… offer a reward for answering thoughtfully. It’s well worth the investment to hear what’s on their heart. Now, Mom, Dad …here’s the deal. Do not dominate the conversation. When they answer, listen! Don’t correct their response or steer their words. Don’t judge their comments. I guarantee you’ll hear something brand new. Ask the question. Then …listen. Strengthen your parenting skills, one email at a time. Subscribe today for our parenting newsletter! 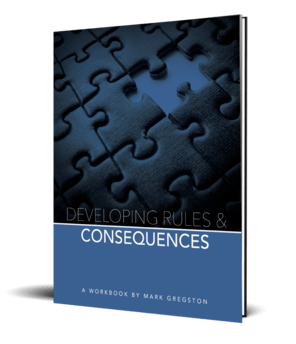 In our latest resource for you and your teen, you’ll learn how to identify what needs to change in your home, establish boundaries, how to implement those changes, and a system for discipline when your teen breaks the rules. Take our free online course. How you choose to navigate your child’s teen years is one of the most important factors in how they learn and grow into adults, and your relationship with them now will set the course for years to come. For almost 40 years, we’ve been passionate about guiding kids and parents through the turbulent teenage years. Tough Guys and Drama Queens has been a huge part of that mission, and we’re thrilled to be able to offer it now, to you, as a free online course!